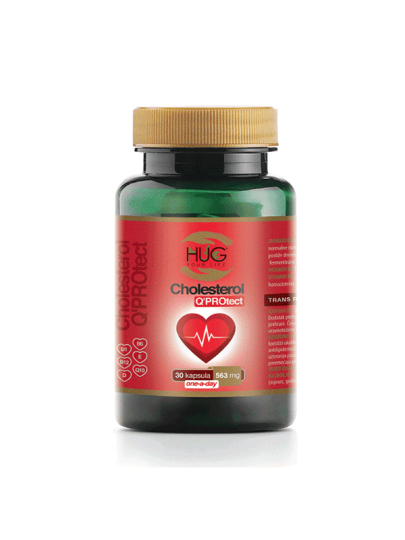 Cholesterol Q'PROtect® is a high quality product based on unique formulas and natural ingredients. The daily dose is made up of only one capsule containing 10 mg monacolone K from fermented red rice, the amount of beneficial effect on maintaining cholesterol levels. contributes to maintaining normal cholesterol levels in the blood. A breathtaking effect is achieved by daily intake of 10 mg monacolin K from fermented red rice preparations. It is recommended to take 1 capsule daily, best after the last meal.